These are the cars that impressed us the most. The 2017 Frankfurt Motor Show was full of big reveals, so it wasn't easy choosing our five favorites. The German expo went big on electric concepts, but our favorite production reveals were the incredible performance cars. We were blown away by the level of performance that was shown at this year's Frankfurt Motor Show. All but one of these cars comes from a German automaker, so clearly the German companies wanted to make a big splash at Frankfurt this year. Make sure to leave a comment on which big reveal was your favorite. The Mercedes-AMG Project One is the clear winner when it comes to performance cars revealed at Frankfurt. We have been waiting anxiously to see and it did not disappoint. Unlike other hypercars, the Project One uses a tiny 1.6-liter V6 with an electrically-assisted turbocharger. This engine revs to 11,000 rpm and is combined with four electric motors for a total output of over 1,000 hp. Mercedes hasn't quoted a 0-60 time yet, but the car's top speed will be 217 mph. The Project One looks ready to do battle with the Aston Matin Valkyrie and the upcoming hypercar from McLaren. The new Bentley Continental GT may not look that different from old model, but there are many small improvements that . Bentley reworked the 6.0-liter twin-turbo W12 engine enabling it to produce 626 hp and 664 lb-ft of torque and is mated to a new eight-speed dual-clutch. We love the way the refreshed rear end looks on the new car and the interior is a big improvement as well. The Continental GT will continue to be a sales success for Bentley. 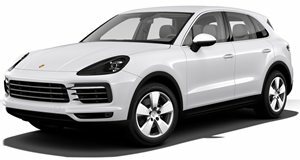 Porsche recently showed off the all-new Cayenne SUV, which was a very important reveal. Porsche didn't stop there and with the new Cayenne Turbo at Frankfurt. The new Cayenne Turbo is faster than the outgoing Turbo S model. This is thanks to a 4.0-liter twin-turbo V8 with 550 hp and 567 lb-ft of torque that now sends power to an eight-speed Tiptronic automatic. The Cayenne Turbo should be a dominant player in the performance SUV market, and we can't wait to see what Porsche has in store for the next Turbo S model. Audi came out with a rather unexpected model called the R8 V10 RWS. This 999 unit limited edition model takes the 5.2-liter V10 from the normal R8, but . The V10 is now detuned to produce 540 horsepower and 398 lb-ft of torque. Without the AWD system, the car drops 110 pounds and gains the ability to easily drift around corners. A RWD R8 didn't seem like too big of a stretch, considering that Lamborghini already makes a RWD Huracan. However, this shows that Audi is willing to make a RWD car. 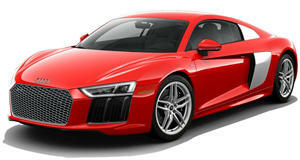 For many years, Audi cars have only been AWD or FWD, so this new R8 gives us hope that Audi will build more RWD cars. The all-new BMW M5 has made its first live appearance at the Frankfurt Motor Show. The M5 looks ready to do battle with the Mercedes E 63 AMG thanks to its reworked . Unfortunately, the manual transmission option is now gone. 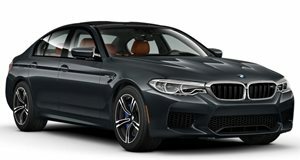 The M5's new standout feature is an advanced AWD system that can become RWD at the push of a button. BMW realizes that people want a fast, capable car that can also do burnouts and drifts on demand. An honorable mention also has to go to the new 911 GT3 Touring package. This looks amazing, even though it's technically just a new trim level instead of an all-new car. The car is basically a 911 GT3 without the wing and the PDK transmission. In essence, we believe that the GT3 Touring Package is the latest car to bring the 911 R off its ridiculous pedestal. 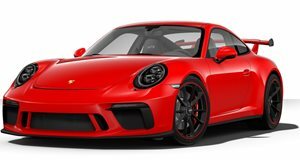 Porsche did say that it was not a hedge fund for people, so we are extremely happy to see a 911 that is just like the R, but won't be as unattainable. And we thought the F90 M5 was already a track monster.